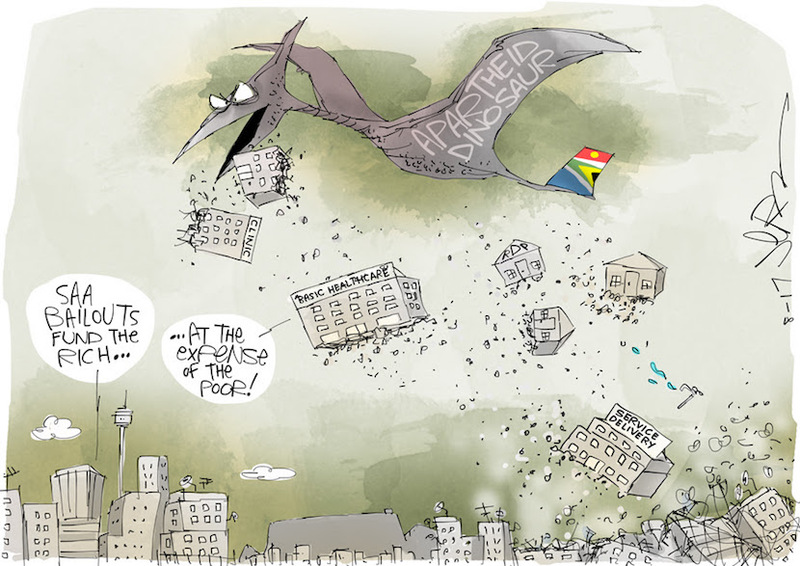 Cartoonist Jerm thinks SAA should be sold to the private sector. More of his work available at jerm.co.za. South African Airways (SAA) is not a parastatal, it is parasitical. Society, as envisioned by our Constitution, has no place for parasites, especially if its continual humouring has to come at the direct expense of equality, dignity, and freedom. Our embassies, sports teams, and our people represent our flag far more admirably and affordably abroad. Tourism can be promoted in a far more affordable manner using other media; and in any event, foreign airlines bring tens of millions of tourists into South Africa every year without SAA’s assistance. Finally, the Air Force, for more than a decade, has been handicapped by government’s refusal to acquire airlift capacity. Our aging C-130 cargo- and troop transports are grossly inadequate. Instead of wasting R12 million per day operating SAA on the off chance that South Africa may become embroiled in war, perhaps it is time for government to procure efficient and appropriate aircraft for the Air Force. The continued linkage between government and an airline – not even SAA in particular – reeks of legal irrationality. But government’s arbitrariness in keeping SAA around is not where the unconstitutionality stops. 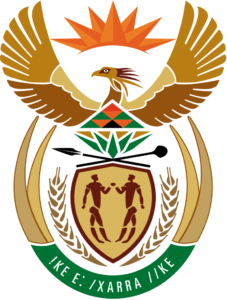 Section 195 of the Constitution sets out the values and principles governing the whole of the public administration. Among other things, the public administration must promote the “efficient, economic and effective use of resources”. This section binds all organs of State, which includes State-owned enterprises. In no dimension does spending R3 billion (or R12 million per day in operating losses) on an enterprise guaranteed to fail amount to “efficient, economic and effective use of resources”, when economic growth is poor and millions of people are jobless. The numerous, failed turnaround strategies and ‘plans’ devised by government indicate that SAA is not a viable investment. The airline operated efficiently under Apartheid… because it had a monopoly and nobody was allowed to compete with it. Since we adopted freedom of choice as a constitutional value in South Africa, conditions have changed, and old Apartheid thinking will not work anymore. Airlines worldwide that rely on taxpayers’ money and on non-profit motives (like serving unprofitable ‘underserviced’ routes) are destined to fail. SAA should rather be converted into a charity relying on member donations if it wishes to pursue altruistic goals detached from reality. 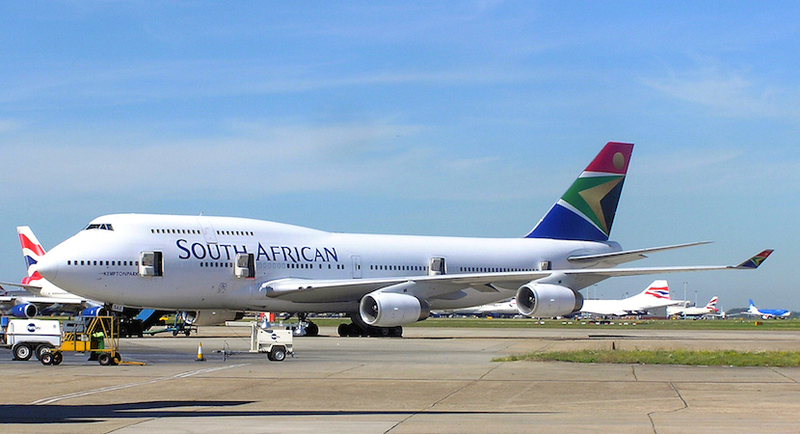 Read also: Other global airlines thrived after privatisation: So too can SAA. Here’s why. I can go on listing constitutional provisions and principles. Indeed, these are only two sections in our fundamental law which illustrate quite markedly how insane government’s recent conduct vis-à-vis our national airline has been. While there are many possible solutions to the problem – selling the airline to the highest bidder, initiating liquidation proceedings, converting the owned portions of the fleet into formal Air Force aircraft – the bottom line is that SAA needs to stop being a parasite, and that can only happen if it is divorced from the State entirely. Neither the Constitution nor the dictates of the Rule of Law sanction the continued existence of SAA as a leech on the taxpaying public. Government’s unconstitutional conduct in continuing to humour SAA must stop.